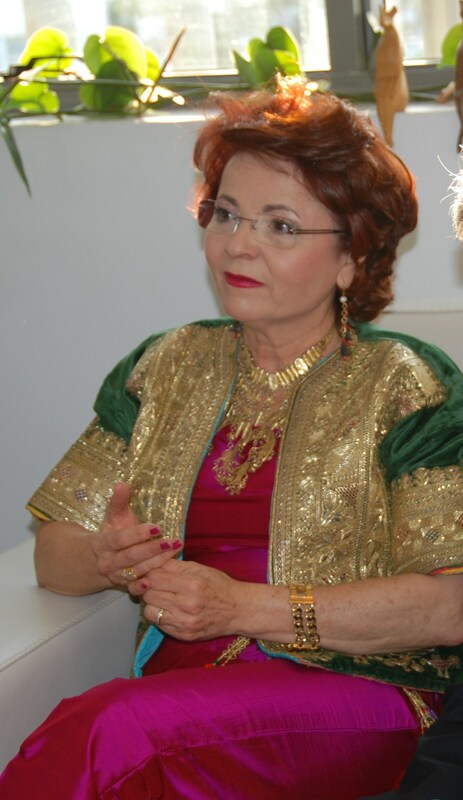 Essma Ben Hamida is the co-founder and CEO of enda inter-arabe in Tunisia. When she was a young girl, her dream was to be a singer like ‘Umm Kulthum’. But due to the limitations imposed by traditions and culture, she was not able to make her dream come true. She ended up studying history and geography. She began her career as a secondary school teacher and a TV journalist reporter in Tunisia. And later, she became one of the women leaders in her country. Essma opened the first bureau of the Tunisian Press Agency in New York at the United Nations. There she gained a lot of experience. As part of her work, she was exposed to the troubles around the world while writing on political issues. Following her journalism career, she moved to Rome to work in Inter Press Service, a global world press agency covering third world countries issues. During that time she went to countries where there were wars such as Palestine and Lebanon; and where there was injustice and exploitation. She was shocked by the level of poverty when she went to Mauritania, Senegal, some Latin and Asian countries, some Arab countries, and especially, Palestine where she saw poverty mixed with political occupation. She loved her work but always had the feeling that she was missing something. In 1988, Essma had to go back to Tunisia after several years of absence from the country to write an article. She was shocked by the poverty level and the inequalities in her own country where she was raised. She found out that women didn’t have access to credit and they were not decision makers. “After telling everyone how proud I am to be Tunisian with all the rights we have as women since the first year of Tunisia’s independence in 1956, I was shocked and speechless with the gender inequality I have witnessed in my own country,” she said. Essma had to admit that she cannot contribute to development through journalism and decided to do it through concrete action. In a conference in Geneva, she met Jacques Bugnicourt, the founder of Enda Third World, a Dakar-based international NGO, and asked him if she could open an Enda office in Tunisia her home country. Essma wanted Enda to be a bridge between Arab Countries and Sub-Saharan Africa and Asia. “I discovered I can’t change the world, but let’s start with my country,” she said. In 1989, Essma went back to Tunisia with Michael Cracknell, her husband and partner, having no idea what they would do with enda without a penny. 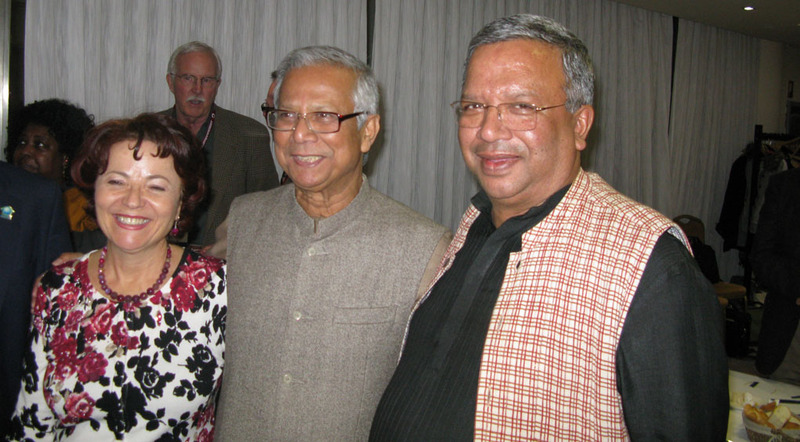 But for her, it was always to emulate the Grameen Bank and Muhammad Yunus (whom she met during one of the conferences). “We decided to launch into micro-credit, but Michael and I had no experience in this. Thanks to a grant from the Ford foundation Cairo office we went to Egypt to visit and learn from the Alexandria Businessmen’s Association and other NGOs offering micro-credit”. “At the beginning we started with 5 loans that we financed from our resources. It was wrong to do that but we had no funds for this at the time,” she said. Essma and Michael started with a team of 5 and received 20,000 dollars from a French NGO, Emaus International, to start disbursing the first loans in the largest poor neighborhood in Tunis. Until 2005, Enda faced quite a few challenges due to lack of funding. “No one believed in us – not the funders, the government, even friends except our women clients. It was only when clients started to take repeat loans that government officials, funders, and friends started to believe in us”. Then we received support from the Spanish government, the EU and some European NGOs like ICCO and Intermon. At the beginning, Enda was focusing only on women but after Essma went to a gender training course in New York, she changed her point of view. She did some focus groups with clients and what surprised her was that women clients loved the idea, saying men are our husbands, brothers; let them work and have their own business. With the help of Women’s World Banking, Enda conducted gender research . The gender analysis of Enda’s customer base helped Enda understand the differentiated needs of its male and female clients. Now enda has 30% men clients. Enda started in urban areas but with the help of the French Development Agency, it was able to empower women in rural areas since 2007. During the Tunisian Revolution from December 2010 which started the Arab Spring Revolution, Enda closed its branches and services to clients for just 2 days. And the clients understood the situation and they even, technically, protected their branches. The PAR went from 0.33% to 6% and now it is back to under 2%. Essma and several senior staff visited branches and clients to understand their needs. Enda introduced loan rescheduling to ease repayment problems and refinanced a few clients who had lost all or part of their business. Enda also wrote off debts in a few cases. They opened new branches in the remotest and poorest areas to help more clients who were in need. Essma proudly mentions that Enda came through this difficult period fairly unscathed. The fact that the organization remained available and present for their clients strengthened the relationship. What was impressive, says Essma, was the rapid growth of civil society that after the revolution, so many new NGOs were created by young women and men. Since the revolution, Enda’s portfolio has grown by 186% to 250 million TND (about 140 million USD), reaching to 250,000 clients through 79 branches. 35% of the clients are young people under 35; many of them were among the 800,000 unemployed in the country. After the Revolution and thanks to a generous support from the Swiss Cooperation, Enda launched a special product for startups by young boys and girls from the poorest areas of the country. Enda now faces a lot of challenges due to what is going on in the region. “Microfinance cannot go with war – we need security. Everyone in his/her country should make a difference in his/her work.” The other big challenge that Enda is facing is that quite a few people who know nothing about the sector nor have ever met a micro-entrepreneur reject micro-finance out of principle. The innovation that Enda is working on is in micro-insurance and mobile banking, “I am proud to see the reaction of women when they started using technology”. Essma sees the future in technology to improve Enda’s work and the businesses and lives of its clients. 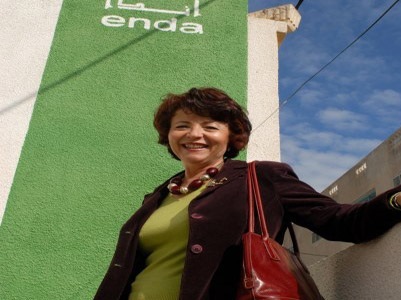 The biggest dream and challenge now for Essma is for Enda to become the first micro-finance bank in Tunisia. But they still have a long way to go until the regulators allow MFIs to take deposits. Essma has some advice for women leaders. “Maintain a balance between your private life and your work. Do what you are passionate about so you can give more. I am happy and passionate even if I work a lot. Take care of your health so you will be able to see the results of your hard work.” Essma is now making it happen by empowering women and youth in Tunisia. She is also fulfilling her old dream by taking singing classes. *In December 2008, Women’s World Banking’s market research team, in collaboration with enda, conducted customer research to improve our understanding of how gender relations impact the development and growth of microenterprises in Tunisia. The research was also designed to provide customer insight and feedback on two of enda’s microlending products. It is my pleasure to introduce my charming & accomplished friend Essma Ben Hamida from ENDA in Tunisia as the Women Leader who has made Outstanding Contribution to Financial Inclusion. She is a pioneer in Tunisia. I am so happy for her that the only country the ‘Arab Spring’ in the Arab world was able to bring the political changes the people had been aspiring for – democracy & freedom from oppression. Under this environment ENDA & Essma continues to flourish. Here is photograph in Valladolid, Spain with Essma & Professor Yunus.